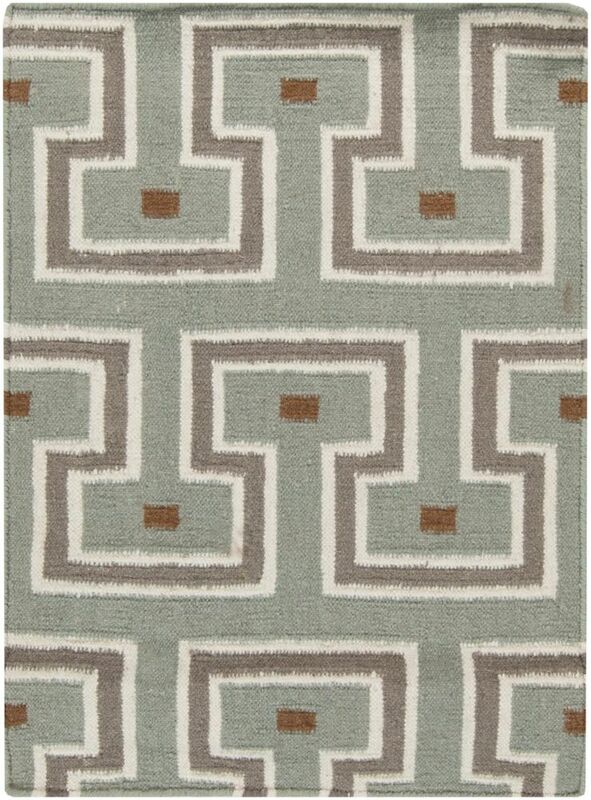 Place this Artistic Weavers Limeira accent rug in your dining room when you need a splash of style. Made from plush wool material, this indoor rug is high quality and extremely fashionable. Since it is hand-made, you can trust the quality on this rug. Keep things classy, yet high-quality with this geometric patterned blue rug. This Artistic Weavers Arimu accent rug is a great high-quality option for livening up your home. Keep the contemporary look in your home with this indoor/outdoor piece crafted from plush synthetic material. Bring this hand-made rug into your home for a durable interior design option. Add this floral plants patterned blue rug to the dicor of your home for a contemporary infusion. This unique and stylish Artistic Weavers Colina accent rug will tie any room together in your home. This indoor rug made from plush synthetic material is both comfy and stylish. This machine-made rug makes long-term decorating easy. Keep things classy, yet high-quality with this floral plants patterned grey rug. Include this Artistic Weavers Eaubonne accent rug in your hallway, dining room, or living room dicor for a taste of modern style. Great quality is assured with this indoor piece made out of plush synthetic material. Modern style and construction is combined in this hand-made rug. This pink rug with its floral plants pattern is modern and stylish. Add this high quality Artistic Weavers Gael accent rug to your home for an instant splash of style. Keep the contemporary look in your home with this indoor piece crafted from plush polyester material. Its hand-made construction is sure to endure the constant treading of feet and furniture. Keep things classy, yet high-quality with this floral plants patterned brown rug. Limeira Blue 2 ft. x 3 ft. Indoor Contemporary Rectangular Accent Rug Place this Artistic Weavers Limeira accent rug in your dining room when you need a splash of style. Made from plush wool material, this indoor rug is high quality and extremely fashionable. Since it is hand-made, you can trust the quality on this rug. Keep things classy, yet high-quality with this geometric patterned blue rug.